Located in Southwest Montana, the Beaverhead-Deerlodge National Forest is the largest of the national forests in Montana. The forest offers breath-taking scenery for a wide variety of recreation pursuits. 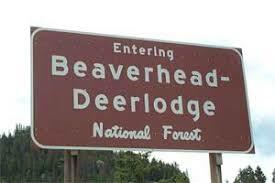 Whether it’s wilderness trekking in the Anaconda-Pintler or Lee Metcalf wildernesses, driving the Gravelly Range Road or Pioneer Mountains Scenic Byway, or camping in one of the 50 small to medium-sized campgrounds in the forest, the Beaverhead-Deerlodge has it all. Winter enthusiasts find snowmobiling, cross-country skiing trails, as well as downhill skiing at Discovery, near Anaconda, and Maverick Mountain, near Dillon. Summertime affords chances to hike and drive primitive routes to high-mountain lakes or to drive more improved roads to places like Delmoe and Wade lakes. 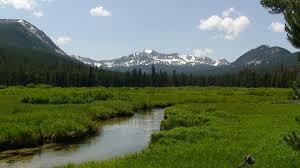 The Continental Divide National Scenic Trail and Nez Perce Historic Trail pass through the forest. 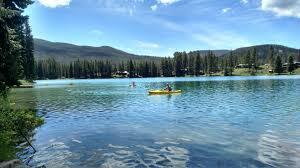 Georgetown Lake offers winter and summer recreation near Philipsburg. At the ghost towns of Elkhorn and Coolidge, you can relive Montana’s boom and bust past. Sheepshead Recreation Area, north of Butte, offers pleasant picnicking and lake fishing, accessible for the disabled. The Forest covers 3.32 million acres. The headquarters in Dillon is located on Interstate 15 just 63 miles north of the Utah border.